I suspect we’ve all said those kind of things in one form or another. We’ve all bumped up against the impossible in our lives. And we all live with our own version of what is and what isn’t possible. Most of the time we live our life based on what we consider to be possible. We consider the range of possibilities and then we make a decision, choose a direction for our life, take our next step, all within the boundaries of what is possible. But what if life is bigger than that? What if the impossible can be made real? What if the impossible really does happen? What if the impossible is possible? I know that doesn’t make sense. And I can’t explain it. I don’t know how it happens. I only know that it does. I’ve seen it happen in my life and I’ll bet it’s happened in your life too. When my first marriage ended I shut the door on my childhood dream of becoming a priest. I told myself that was now impossible. A divorced man cannot become a priest. 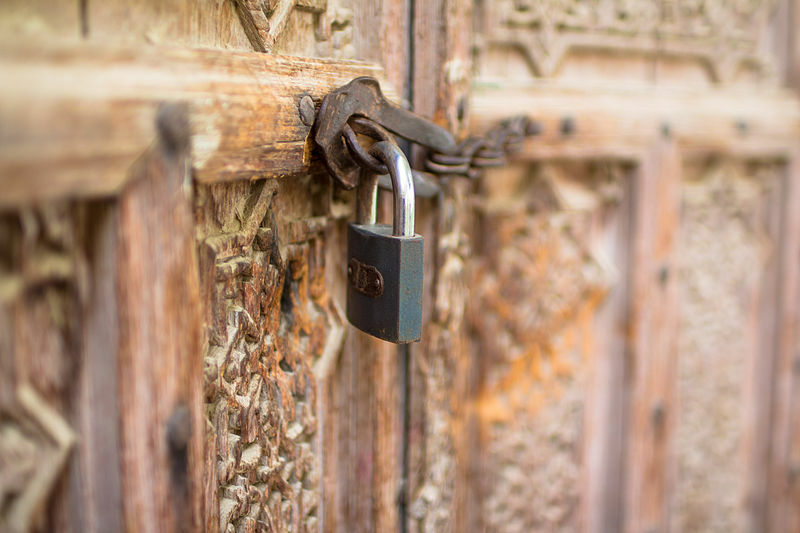 I locked the priesthood out of my life. It was no longer a possibility for me. Then one day, almost twenty-five years ago now, my priest and I had a conversation that opened the door to the impossible, and though it took a while the impossibility of priesthood was made real in my life. When has something like that happened in your life? What did you consider an impossibility that was one day realized, an impossibility that happened? Maybe your heart melted with your first child and you thought you could never have more love than you did in that moment. Then your second child was born and the impossibility of more love became a reality. Or maybe it was just the opposite. Your heart was broken, shattered, and you knew you would never love again. Maybe you said that no one else could compare to that earlier love and your didn’t want anyone else. Or maybe it was just too painful and you vowed to never risk being hurt like that again. Either way you had closed the door on love and intimacy until he or she opened it in ways you never imagined possible. Have you ever had one of those times in life you thought you would never get through? You limped through life going through the motions. It felt as it you had lost everything. Your grief and loss had locked out the possibility of a new life but one day something happened. Something changed. The world looked different. You felt different. A door opened and what you once thought was impossible was your new reality. We all have stories like that. We could each tell about a time in our lives when the the impossible was made real. 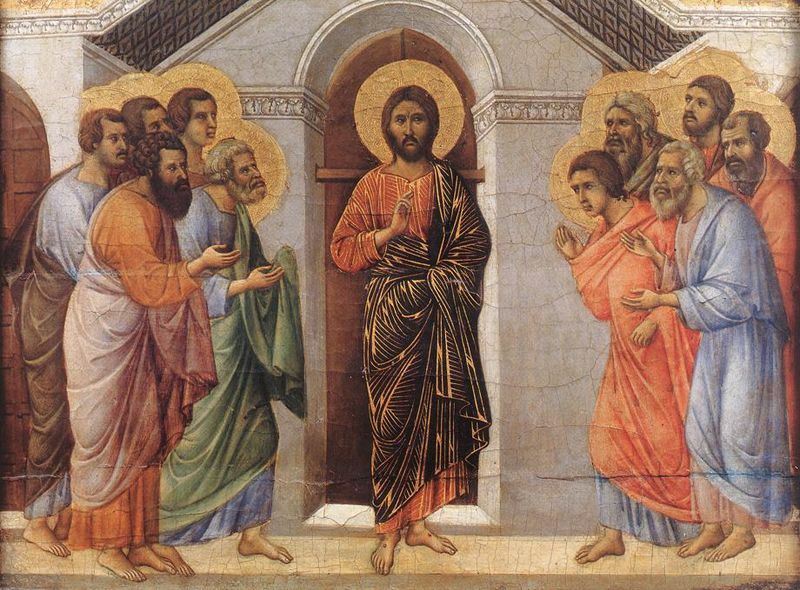 What if every impossibility of our life that is realized is an experience of resurrection? What if each one is a time when Jesus stepped through the locked door of our life? Isn’t that what happened in today’s gospel (John 20:19-31)? It’s the evening of Easter. The disciples are gathered in a room. The doors are locked. It’s impossible for someone to get. They’ve made sure of that. They are scared. Then the impossible happened. Jesus showed up. He’s not dead. He’s alive. He’s not in the tomb. He “came and stood among them” (John 20:19, 26). He breathed peace upon them. That didn’t happen just once. It happened twice. Twice Jesus stepped into that room of frightened disciples hiding behind their locked doors of impossibility. Have you ever considered that that kind of thing is happening all the time? And that it is as much a part of our lives as was the disciples’? The possibility of the impossible isn’t just the story of Easter. It’s the story of Jesus. Jesus is always stepping through our locked doors of impossibility. That’s the good news of his gospel. Think about all the stories of impossibilities that became real. God became human in Jesus. Or as St. John puts it, “The Word became flesh and lived among us” (John 1:14). There’s a reason St. John says, “Yet, the world did not know him…. His own people did not accept him” (John 1:10-11). It’s impossible. Who would believe that God would become one of us? A virgin gives birth to a child. “How can this be” (Luke 1:34)? That’s not only Mary’s question. Its ours too. That kind of thing is impossible. Water is turned into wine (John 2:1-11). Don’t we wish?! Five thousand are fed with two fish and five loaves of bread (John 6:1:13). Until it happened Philip would never have thought it possible. “Six months wages would not buy enough bread for each to get a little,” he says (John 6:7). Martha knows the impossibility of her brother, Lazarus, coming out of the tomb. “Lord, already there is a stench because he has been dead four days” (John 11:39). And then the dead man walks out, the door of death has been unlocked and opened. And then there’s Jesus’ own resurrection. The women’s good news of the empty tomb seemed to the men “an idle tale, and they did not believe them” (Luke 24:11). After all, dead men can’t live. It’s impossible. And the tomb could never be the womb of new life, could it? None of that was possible until it happened. And I can’t tell you how any of it happened. I just don’t know. I don’t know how it has happened in my life. I don’t know how it has happened in your life. I have no explanation. But that doesn’t mean it cannot or did not happen. We know better. We are “witnesses to these things” (Luke 24:48). Unexplainable and impossible are not the same thing. That’s the paradox. “The impossible becomes possible without becoming understandable” (Richard Kearney and Jens Zimmerman, eds, Reimagining the Sacred, p. 184). And when it does doors are flung open and a whole new field of possibilities lies before us. That’s what has brought me to this moment. A door of impossibility opened nearly twenty-five years ago. And here I stand before you. Never in my wildest dreams could I have imagined that back then. So what about you? What are the doors of impossibility for you today? What possibilities have you locked out of your life? We all have our locked doors of impossibility. I wonder what is being unlocked and opened for you and me today. We’ll never know unless we consider the impossible possible. So what if, instead of starting with what we consider possible, reasonable, realizable, we began with the impossible. Let’s not get trapped by what we think is possible. Let’s go to the place of impossibility in our life. That is where Jesus is showing up. That’s where he is breathing peace. That is where doors are being opened. That is where new life is beginning. And that’s where I want to be, don’t you? What if the impossible isn’t really impossible? What if what we see as impossible is really just us catching up to Jesus? Thank you for this hopeful message. Mary Ann, I hope this Easter season is opening and unlocking doors of impossibility in your life. Thank you for your comment and for reading my blog.